As a city with endless restaurants, numerous galleries, and lots of unique shops, Lancaster City certainly gives options to visitors and residents alike. There’s no denying social media is one of the best tools to sort through all those choices. For foodies and travel bugs, Instagram reigns supreme to show off a city’s best assets from eclectic art to historic architecture. That’s why we wanted to share just a few of our favorite Lancaster City centered Instagrams! From artwork to restaurants, shopping, history, and even cats, here are 10 Lancaster City Instagrams you should be following. As the oldest, continuously-open public farmers market in the country, it makes sense that @CentralMarketLancaster has a following of over 15,000. Established in 1730, @CentralMarketLancaster’s posts showcase the delicious food and fresh produce sold—not to mention the stunning photos of the building itself from every angle. @DoorsofLancaster validates the beauty of Lancaster City with their colorful and unique photographs. Featuring various doors, buildings, and architecture around the city, @DoorsofLancaster showcases the unique personality of the city while simultaneously bringing a sense of unity and homeliness to its residents. Started in May of 2017 by Mckenna Whisler and Elisabeth Bowen, the duo wanted to create an account where the charm of Lancaster City could be celebrated and shared. Calling all art enthusiasts: the @LancasterPublicArt page features breathtaking art showcased around the City. Promoting galleries, artists, art events, and more, @LancasterPublicArt is sure to inspire the creative spark in all of us. Feel like curbing your appetite with a delicious meal in downtown Lancaster? @LancasterCityRestaurantWeek will be sure to make your mouth water with over 600 posts featuring Lancaster’s exceptional dining scene. From breakfast and brunch to delicious dinner entrees, @LancasterCityRestaurantWeek is a staple for any foodie hoping to get a taste of downtown dining. Featuring the many colorful walls and murals around the city, @WallsofLancaster combines art and architecture together for a unique look at Lancaster City. Run by photographer Michelle Johnsen, this account focuses on bright colors and cheerful images as the beauty of Lancaster City is displayed. 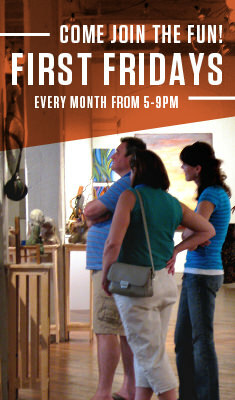 Interested in perusing the art scene and galleries in downtown Lancaster? Visit @LancasterCityArtGalleries for a sample of the many styles of craftsmanship showcased in the city. With the hope of inspiring residents and visitors of all kinds, @LancasterCityArtGalleries gives a glimpse into some of the creative personalities gracing this city with their talent. @HistoricLancasterCity features the countless buildings around the city of historical significance. Deemed “an exploration of the architectural heritage of the City of Lancaster,” @HistoricLancasterCity is a derivative of the City of Lancaster government and seeks to promote the rich historical roots of which Lancaster grew from. Get your daily fix of Lancaster City cat sightings at @LancasterCityCats. Featuring lounging felines throughout the city, this account posts photos sent to their inbox by cat enthusiasts of all kinds. Started by Scott Kneisley, he wanted to showcase the beautiful cats around the city. Scott hopes that by his creation of this Instagram, it will lead to an increase in awareness of how helpful neighborhood cats can be. In need of some shopping rehab? 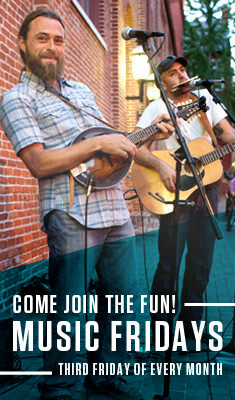 Visit @The300Block for a taste of Downtown Lancaster’s largest collection of shops. This account features posts regarding a variety of shops and products including antiques, collectibles, eateries, clothing, and more. Located on North Queen Street, The 300 Block is a vintage and ‘local’ shoppers paradise. Run by the City of Lancaster Office of Promotion (LOOP), @VisitLancCity focuses on promoting special events and attractions in Lancaster City. From First Fridays to the Red Rose Run, Music Fridays, holiday events, and more, @VisitLancCity is your one-stop-shop guide to enjoying all things Lancaster City. Plus, what kind of promoters would we be if we didn’t include our Instagram?